With over 90 years of providing high-quality materials, innovative technology, well-equipped facilities and superior customer service, HPM has become Hawaii's leading source for building. There are more than 2,200 product lines, including pro-grade lumber, trusses, tools, pre-engineered wall panels, custom metal roofing and pre-hung doors. For those looking to build a new home, HPM offers proven house plans and materials that save time, money and headaches. 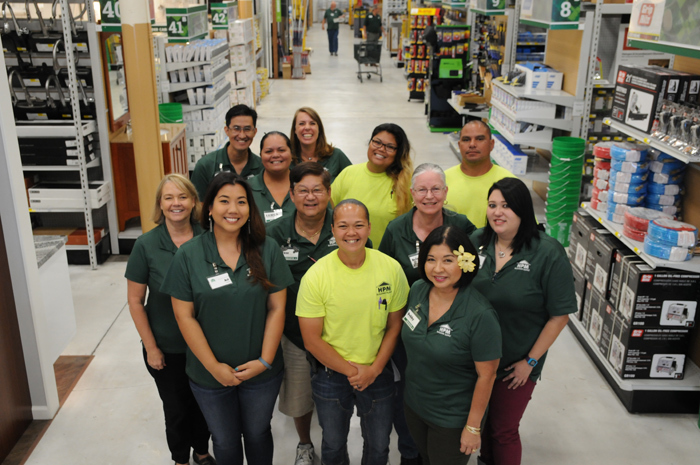 On Hawaii Island, come visit HPM's retail stores in Hilo, Kona and Waimea, along with lumberyards that services projects of all sizes. HPM also services Oahu, Kauai and Maui, offering home plans, lumber, building materials and custom metal roofing. As a local company with humble origins, HPM has a long history of innovation, perseverance and progressiveness. Yet one thing hasn't changed over the past nine decades — the commitment to provide customers with the best building materials and services. In 1959, HPM began an employee profit-sharing plan. Then in 1977, HPM became one of Hawaii's first companies to establish an Employee Stock Ownership Plan (ESOP). Today, employees own 100% of company stock through the ESOP. After a year of employment (and at least 1,000 hours worked), employees become part of our ESOP — meaning they're not just employees, but owners. Owner-employees help ensure goals are met by providing exceptional customer service, maximizing sales, minimizing expenses and operating within our core values of integrity, respect and the pursuit of excellence. The HPM Foundation provides monetary donations to local nonprofits that support the community. In recent years, we've supported the American Heart Association, Easter Seals Hawaii, Habitat for Humanity West Hawaii, Hale Aloha O Hilo Habitat for Humanity, Hawaii Island Chamber of Commerce, Hawaii Island Food Basket, Hawaii Island United Way, Imiloa Astronomy Center, Japanese Chamber of Commerce, Junior Achievement of Hawaii Island and University of Hawaii at Hilo Alumni & Friends Association.